Nearly half of adolescents whose parents expressed hesitancy when discussing the HPV vaccine with providers received vaccination during the visit. Engaging parents hesitant to approve human papillomavirus (HPV) vaccine for their children and addressing their concerns can result in same-day HPV vaccination for adolescents, according to a study published in Pediatrics. The number of adolescents receiving HPV vaccination in the United States is inadequate, with only 43.4% of youth aged 13 to 17 years being up to date in 2016. One factor contributing to inadequate coverage is hesitancy by parents who delay making vaccination decisions. To reduce the burden of preventable HPV-related cancers, it is therefore critical that providers actively engage in effective discourse with parents hesitant to approve administration of the vaccine in their children. This quantitative study characterized how parents verbally express HPV vaccine hesitancy, described how providers responded to parental hesitancy, and explored patterns of association between communication around HPV vaccine hesitancy and same-day vaccination. This typology provides a framework to identify communication drivers of HPV vaccination decisions. Across 6 pediatric clinics in Dallas, Texas, 43 visits with unvaccinated adolescents aged 11 to 17 years who had parents who were undecided about HPV vaccination were audio recorded. How parents verbally expressed hesitancy (assertive response, asking a question, or expressing concern) and whether providers responded with acquiescence (agree to defer vaccination) and/or persistence (continue discussion) were qualitatively coded. The frequency of parent and provider communication codes and same-day vaccination was described. Of the 43 recorded visits, 37 parents expressed hesitancy at least once. The most common responses were assertive (27 visits), followed by questions (16 visits) and concerns (12 visits). Providers responded with only persistence in 18 visits, a mix of acquiescence and persistence in 13 visits, and only acquiescence in 6 visits. When only persistence was used, 17 of 18 adolescents were vaccinated compared with no adolescents receiving vaccination when only acquiescence was demonstrated. The acquiescence-only group had the shortest median response time of 2.8 minutes, the mix of persistence and acquiescence response was 5.12 minutes, and the persistence-only group had a median response time of 3.79 minutes. 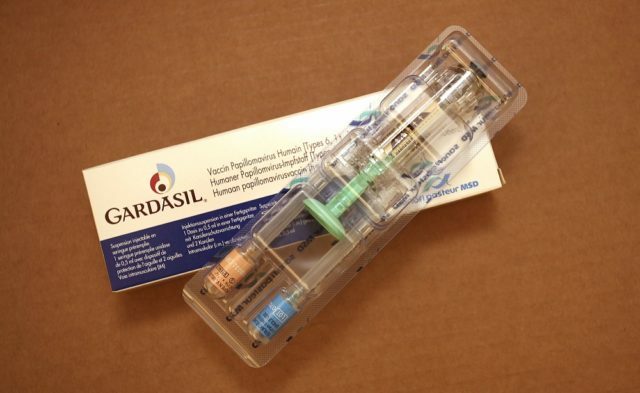 HPV Vaccination: Should Adolescents Be Allowed to Give Consent? Shay LA, Baldwin AS, Betts AC, et al. Parent-provider communication of HPV hesitancy. Pediatrics. 2018;141(6):e20172312.